Following its grand reopening earlier this year, Sincere Fine Watches launched a special exhibition at their boutique in Suria KLCC. Buoyed by the successful '100 Tourbillons' exhibition held in 2014, the purveyor of horology has once again amased a hundred watches for an 'Exquisite Showcase of 100 Complications.' 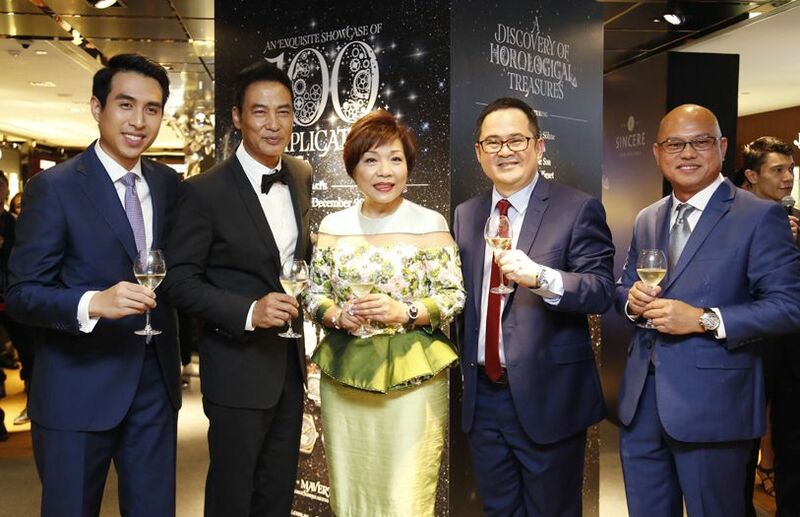 Proving the importance of the event, Sincere Fine Watches owner Pollyanna Chu was present alongside CEO of Sincere Fine Watches Limited, Ong Ban to welcome guests like Hong Kong movie star Simon Yam, Datin Sri Joey Tor and Dato' Sri Jackie Tor. The exhibition will run from now until December 31 and will feature some of the finest watches from brands like Breguet, Bulgari, Franck Muller and Audemars Piguet.